Appearance white or almost white crystalline powder ; odorless, tasteless. Solubility Do not dissolve in water, easily soluble in chloroform , soluble in alcohol, ether, vegetable oil. Delivery:The product will be sent out as soon as payment received, 4 days by air, 30 days by sea. 1.Any inquiry or message will be replied within 24 hours. 2.Professional manufacturer. Welcome to visit our website. 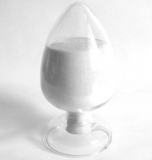 3.API, Intermediate are available, we can offer Custom Synthesis, and registration as well. 5.After-sale services, if you find our products not satisfied, we will refund you. Hubei Widely Chemical Technology Co., Ltd. is a professional production and sales of bulk drugs, intermediates GMP factory , welcome to inquire Progesterone pharmaceutical raw materials prices , quality standards and other informations, hope to establish long-term business relationship with you !